Did you know that Thanksgiving is National Peanut Butter Lovers month? It’s true! Anyone with an affection for this particular legume now has an excuse to eat peanut butter every day this month. Why devote a month to Peanut Butter? Peanut Butter is to America as Vegemite is to Australia. On average we Americans consume more than three pounds of peanut butter, per person, each year. Last year, the Daily News reported that the average American will consume 3,000 PB & J’s in their lifetime. We love it so much we feed it to our dogs as a treat, so why not devote a month to this condiment? That’s the question, isn’t it? After a bit of research, there are a few festivals in the US that celebrate Peanut Butter. They take place at different times in the year but if you love Peanut Butter, you might want to add these festivals to your bucket list. In the middle of September, this town celebrates Peanut Butter in all its glory. 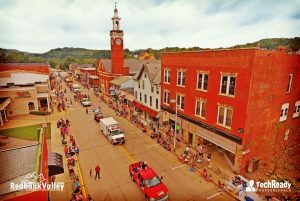 The festival hosts a 5K run, a mountain bike race, a classic car cruise and a Peanut Butter Festival Wine walk. This town celebrates their Peanut Butter at the end of October. 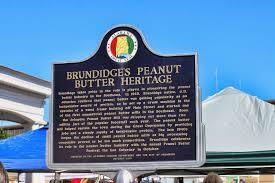 Brundidge even has its own Peanut Butter museum! The town has two of the oldest peanut butter mills in the Northeast and has been celebrating this staple for the past 25 years. Some of the festivities include a 5K run, a Peanut Butter recipe contest, live entertainment and much more. If you can’t get enough of peanut butter and you don’t want to travel here are some things you can do instead. I don’t know about you but I love PB cookies and my sister makes my favorite. Here’s a recipe to create your own. 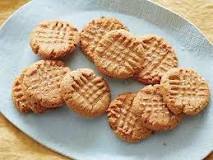 Food Network has a great version of a flourless Peanut butter cookie with an instructional video. Not into baking, try pairing your peanut butter with something unusual. Everyone has heard of Elvis’ favorite sandwich the peanut butter, banana and bacon sandwich! There are tons of things you can pair with your peanut butter. I love peanut butter and fluff, but you can pair it with honey or Nutella or put it on a burger! However you choose to celebrate your love of peanut butter it’s not wrong. Whether you travel to indulge or experiment with new combinations enjoy the journey. Until next time.